It’s finally time for some high school football in the state of Alabama. Week one brings the opening games for only a handful of teams. 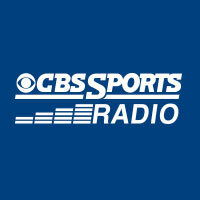 With the new seven classification system, the schedule was changed to include an eleventh week, basically adding a week early where teams can play a non-region game and then take a break between region opponents with an off week in what used to be week five or at the end of the season before the playoffs. Some teams have taken advantage of that, and others have decided to play a jamboree or start when the season used to start, and play ten weeks straight. Here are some of the top games of the week featuring central Alabama teams. This is by far the biggest game featuring two in-state teams in week one. This will begin the Champion’s Challenge down in Montgomery at the Cramton Bowl. Leeds was able to win this game last year 27-24 at home. This year they split the difference and play in Montgomery. Despite Leeds losing a couple of players from last year, no loss was bigger than Kerryon Johnson for Madison Academy. However, Malik Miller comes in to fill the hole left by Johnson. Miller is rated the 12th best recruit in the state according to 247Sports, and has committed to Auburn. For Leeds, TaDarryl Marshall and Tre Nation will continue to help lead the team to be not only the best in Class 4A, but one of the better teams in the state. Marshall is ranked #13 by 247Sports and has committed to Tennessee, and RB Tre Nation is ranked 29th in the state by 247Sports, but hasn’t made a college decision yet, although he seems to be leaning toward Louisville. Hewitt-Trussville faces an out of state opponent as they square off against the state of Tennessee along with Hoover, Clay, and Muscle Shoals. They will face Montgomery Bell out of Nashville who finished the season as the Division II Class AA state champions, and were ranked #2 in the state by MaxPreps, ahead of both Blackman and Oakland who Clay-Chalkville and Hoover begin their seasons with. Hewitt spent last year as a “rebuilding” year with new coach, and Gus Malzahn protege, Josh Floyd. This season, they will look to compete against Hoover and other large Birmingham area schools to be the best in Class 7A Region 3, but will have to start against one of the better teams in not only Tennessee, but the country. Montgomery Bell finished last season ranked #51 in the nation by MaxPreps. Hewitt is used to playing top ranked teams as they regularly face off against Hoover in their region, and Clay-Chalkville as their final rivalry game before the playoffs, so this will just be another to add to the list. Unlike Hoover and Clay, Hewitt will get to host this game, so that should be a help. Despite all this, I’m looking for Montgomery Bell to come in and look strong for Tennessee. They currently have three players in the 247Sports top 100 for Tennessee, including Navy commit, QB Cole Euverard. Hewitt will have to rely on their strong run game from Jarrion Street, the Ole Miss commit, along with help from fullback Bailey McElwain, who has committed to Stanford. Clay-Chalkville ended last season as arguably the strongest team in the state of Alabama, and will come into this season with the same thought in a lot of people’s minds. MaxPreps ranked the Cougars #1 in the state of Alabama, and 17th in the nation in their overall composite rankings. They defeated Niceville 44-23 in last year’s competition against the state of Florida that also saw Hoover lose to Miami Central. This year, the two top teams in Alabama will head to Tennessee for the Middle Tennessee Football Classic to take on a pair of strong competitors to the north. Blackman actually dropped their final regular season game last year to Hoover 35-20, so they will be looking for revenge against the state of Alabama. Blackman finished last season ranked #8 in the state of Tennessee by MaxPreps so they will begin this season in a Tennessee #8 vs. Alabama #1 match-up. The games will be played at Middle Tennessee State on Saturday with Clay-Chalkville kicking things off at 3 pm. Blackman will have to rely on first-year starters Miller Armstrong at quarterback and Taeler Dowdy at running back to put points on the board. Clay comes in with considerably more experience on offense with Alabama commit T.J. Simmons (#15-Alabama // 247Sports) at wide receiver, and of course Mr. Football favorite, QB Ty Pigrome (#35-Alabama // 247Sports). I think experience leads the Cougars to victory in this one, and they start the season off with a strong win against out of state competition. Hoover starts the season off with the first of three out-of-state opponents and takes on Oakland, one of the top teams in Tennessee. MaxPreps ranks them as the #6 team in the state of Tennessee after last season, so it will be Alabama’s #2 vs. Tennessee’s #6. Oakland last season made it to the Tennessee Division I 6A semi-finals, beating out Blackman in round three, but losing to eventual champ, and nationally ranked #21 team Maryville. Oakland had actually lost to Blackman in the first game of last season before getting revenge in the playoffs. They will begin their season strong against Hoover, who defeated Blackman as well. Oakland is led by first-year head coach Kevin Creasy, who takes over the Oakland program after winning three state titles at Trousdale County. Junior athlete JaCoby Stevens, a top 100 recruit for the class of 2017, will be the star player to watch for Oakland. Hoover’s defense will be anchored by Florida commit Jeremiah Moon (#6-Alabama // 247Sports). The 6-4, 205 lbs. linebacker will be tough to get past on the ground for Oakland. When Oakland tries to go to the air, CB PJ Hall (#29-Alabama // 247Sports) will be there to stop the pass. I expect this one to stay relatively low-scoring. Homewood has always been a favorite to make a strong run each year, especially after winning four state championships in six years from 2000-2005. However, the Patriots started 0-2 last year before running the table in 6A Region 5, and it all started with a 3-point loss at Decatur. The game last season was a mess with nine total fumbles between the schools (six of them lost), and both quarterbacks only completed 10 passes combined for less than 50 yards each. This season, Homewood returns three-year starter Carson Griffis at quarterback along with 1000-yard rusher Derrick Underwood on offense. However, the Patriots are on their third offensive coordinator in three years after Jamie Williams became the head coach at Gulf Shores. On defense, the Patriots return Griffin Gentry, a highly recruited defensive lineman who had an older brother that won a couple of state titles with Homewood. Decatur returns defensive back Tae Hayes, along with a strong defense, who will try to force the Patriots to keep the ball on the ground. Homewood’s offensive line will be a concern this year with new players stepping in. The rest of Homewood’s backfield will be new with most of Griffis’ supporting cast graduating last year. However, Homewood has size at the receiver position with no receiver being under 6’2″. Auburn travels to Gadsden to take on the Titans in a 7A North vs. South match-up. Although Auburn struggled with a 4-6 record last season, they did defeat eventual runner-up Prattville 37-7 last season. Gadsden City won 7A Region 4 last year over teams like Bob Jones and James Clemens, but ended up losing to Hoover fairly bad in the North Finals. Both of these teams will be looking to rebound this season. Look for Tyus Flakes from Auburn to get called on a lot in this game. Flakes is the 4th highest rated running back from 247Sports in Alabama, and has committed to Indiana. He’ll be running behind Guard Tyler Pritchett, who has committed to North Carolina. Muscle Shoals finished last season as the #14 team in Alabama according to MaxPreps, but was only ranked #12 in 6A in the ASWA poll. They ran into Clay-Chalkville in the second round of the playoffs and went out after a 35-14 loss. They will take on Memphis East from Tennessee, which is only about a two and a half hour drive from Muscle Shoals. Memphis East doesn’t have as impressive of a resume as the other Tennessee teams that are facing Alabama schools this week. They were ranked #74 by MaxPreps in the state of Tennessee last season, and lost in the playoffs in round one to eventual semi-finaist, Ridgeway. East does have the 48th rated recruit in Tennessee according to 247Sports, Teddrick McGhee. The composite 3-star cornerback has drawn offers from four schools, but is still leaning towards Memphis without an offer. This season is shaping up to be a great one. Last year’s champions are heavy favorites again this season, but there is a lot of football to be played. 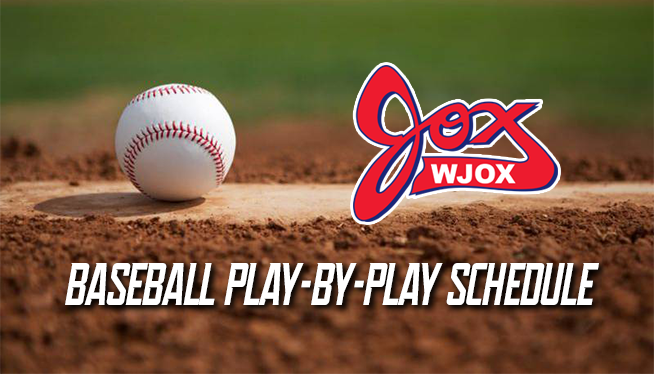 Don’t forget to tune in to the WJOX scoreboard show from 9 pm – 11 pm each Friday night.